Faith Ringgold grew up in Harlem, has a master's degree in education, and has taught art in New York City public schools. Deeply influenced by the Black Power movement, Faith developed an art style based on her African-American heritage. She created a series of narrative quilts about the lives of black women, one of which inspired her first picture book, Tar Beach, winner of a Caldecott Honor Award and a Coretta Scott King Award for Illustration. She went on to publish several more acclaimed picture books, including Aunt Harriet's Underground Railroad in the Sky and My Dream of Martin Luther King. 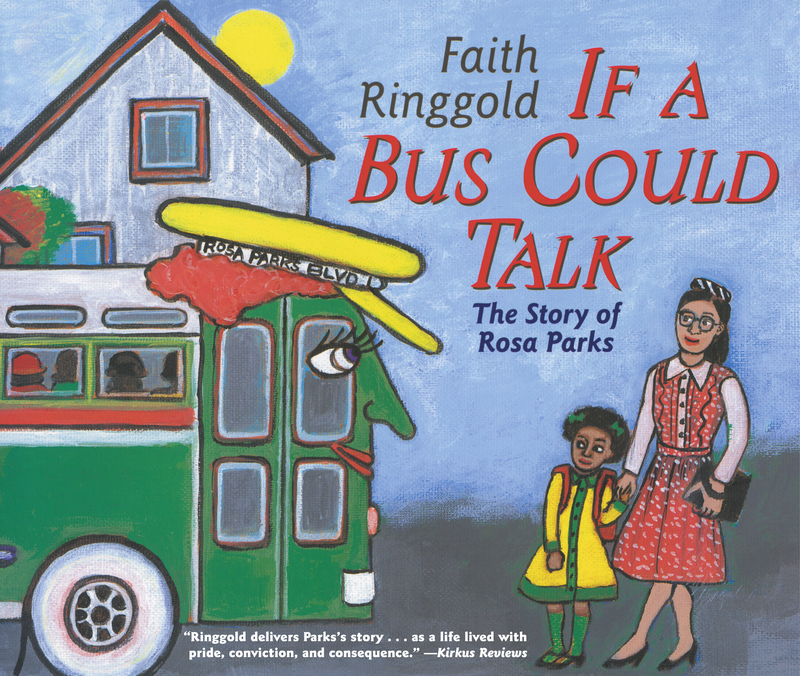 Of this book she says, "If that bus Rosa Parks was on could tell us what happened, its story would be better than anyone's. It was wonderful to write something children could accept. They are ready to imagine and have open dreams, like Rosa, who must have had a dream in order to stretch herself." Faith Ringgold divides her time between New Jersey and Southern California.